A gala crowd of business and civic leaders gathered in Bend last week to celebrate the grand opening of innovative bioscience pioneer Suterra’s new $35 million world headquarters in the burgeoning Juniper Ridge development. The 92,000 square foot facility sitting on some eight acres includes state-of-the-art laboratories, offices, storage and manufacturing space, together with expansion potential slated to accommodate the growing company’s needs for the foreseeable future. Suterra is acknowledged as a leader in the field of “biorational” pest control products – which utilize naturally occurring compounds and biochemicals such as pheromones – generally considered a more environmentally sound alternative to traditional pesticides in being non-toxic to humans and animals, leaving no harmful residue, not contaminating groundwater and not disrupting beneficial insect populations. The main “mating disruption” product lines disperse pheromones specific to particular pests, which confuse the insects and make it hard for them to find a mate. They are used to help protect such crops as almonds, apples, grapes, nectarines, peaches, pears, walnuts and certain vegetables, and the company has offices in locations from Mexico to Argentina, Italy, Spain and the U.K.
Suterra’s technical representatives manage all critical steps in the pest control program, from hanging traps to post-season analysis, and its reputation and expertise are internationally recognized by university entomologists, government agencies and farming organizations. The company originated as an offshoot of Bend Research, Inc. known as Consep – which employed proprietary membrane technology to coat, protect and mete out a constant supply of the active ingredient for maximum efficiency – and was re-named Suterra in 2001 after being acquired by Roll International, a privately held $2 billion corporation owned by California-based entrepreneurs and well-known philanthropists Stewart and Lynda Resnick. The umbrella group covers an eclectic and diverse range of interests including agriculture, consumer packaged goods and floral services – from Fiji Water to POM juices, the world’s largest floral wire service Teleflora, largest global pistachio and almond producer Paramount Farms and California orange and lemon production giant Paramount Citrus. Stewart Resnick was in attendance for the event in Bend as part of a welcoming party including Suterra President Matt Bohnert and Roll International VP of Capital Projects Eric Johnson. 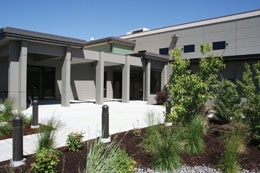 Suterra’s new plant currently has 69 employees, with up to 15 additional jobs expected to be created in the next few months after the move from the former base of operations, which was less than half the size, across town on SW Columbia Street. Johnson said: “There was a pressing need for more room as the previous location had accumulated a lot of new equipment and the layout was no longer efficiently accommodating the use. Johnson said the parent company had considered logically moving Suterra closer to its base of operations in Los Angeles, but decided to stick with Bend primarily due to the talent of the workforce and the attractiveness of the community. Another factor in the decision was the diligence of groups like Economic Development for Central Oregon (EDCO) which worked on the deal, and the City of Bend which fast-tracked a land sale to Suterra and assisted with facilitating necessary infrastructure and permitting for the Juniper Ridge site. Suterra’s new cutting-edge lab area spanning 5,000 square feet will act as a catalyst for research, development and commercialization of further ground-breaking environmentally conscious pest control products. The site also accommodates some 20,000 sq ft of offices and a separate 5,000 sq ft chemical storage building, with the balance of the space dedicated to manufacturing. Johnson said an array of sustainable practices had been incorporated in the building project, which is sheathed by over 800 durable pre-cast concrete panels and topped by a reflective roof, which could accommodate solar panels in the future. Clerestory windows allow for ample natural light to minimize the need for operation of the energy-efficient high bay plant lighting. The heating system is also primarily hot-water based, with supplementation via natural gas whenever necessary, while sustainable materials are utilized throughout the facility, which also features screening sunshades on the exterior. Native landscaping is utilized, as well as drip irrigation, while permeable paving in the loading areas mitigates storm water run-off on-site. The facility’s high-end fire sprinkler system includes three-way seismic loops and a tray floor to capture and contain liquid material in the event of an incident. The data room is protected by an advanced environmentally-friendly inert Sapphire fire suppression system, while the storage building features a foam fire suppression system which is also supplemented by a trench drain and containment system to guard against any escape of material from the building. Suterra Senior Process and Facilities Engineer Heather MacKinnon said carbon and process-specific PA blend filtration banks were also used to screen out chemicals used in particular areas, and any atmospheric emissions are pushed at least 40 feet in the air via powerful strobic fans, negating the need for 60-foot outlet stacks. The company received a Department of Environmental Quality (DEQ) air quality permit for the plant following a detailed public information process. Sioux City, Iowa-based Younglove Construction, LLC acted as the building contractor on the project, with Roll International as the overall general contractor. Younglove is one of North America’s leading builders of facilities that handle bulk materials and has constructed more than 800 major plants, including the giant grain storage silos, feed and flour mills seen soaring from the country’s prominent agricultural plains. Younglove Senior VP Bill Bradbury, who oversaw the Bend project, said: “We have worked on a number of sanitary, food-safe, typically pre-cast concrete, construction projects for Eric Johnson including major additions and new buildings, of which this is certainly one of the most high-end manufacturing facilities we have been involved with. 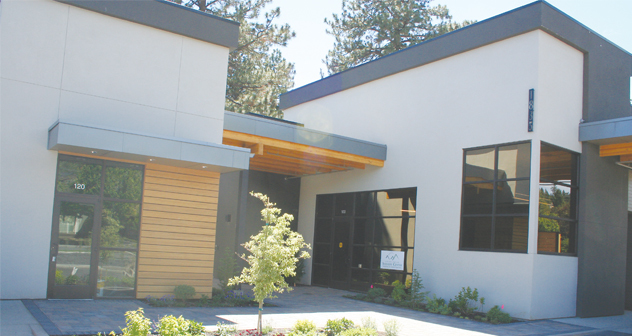 Project Architect Blaise Cacciola, of Bend-Based BBT Architects, said: “There was no set design template initially; rather we received a list of functions and rooms to incorporate. “Thereafter, we went through our programming process involving research and decision-making with stakeholders to identify the scope of the work. The “whole building” integrated design approach involving end-users in the planning and programming phases is geared towards optimizing efficiency. Efficiency in materials handling is also key for Suterra and the parent company, which subscribe to the lean manufacturing theory pioneered by Toyota regarding maximizing efficiency and minimizing waste in the process flow. The philosophy embodies the “Five S’s” practices of: Sort (work area); Set in Order (needed items); Shine (as in clean work area); Standardize (best methods) and Sustain (workplace environment). Receiving loading bays can accommodate larger equipment, with the bulk of the manufacturing in the center and outgoing bays flanking the opposite side of the building. MacKinnon said: “Involvement in the design process included everyone from the operational level to the company president. “After being in a somewhat cramped space previously, people realized it was their ‘one shot’ to have their say in the final outcome and there was a lot of creative input and practical compromise to arrive at the optimal eventual solution.